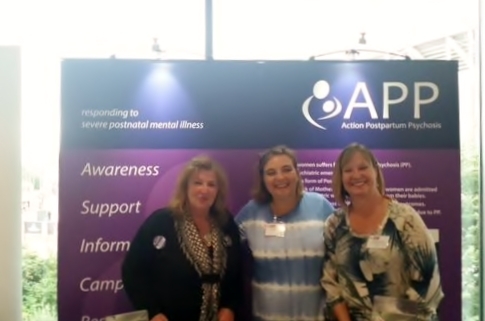 APP attended The Perinatal Mental Illness Conference /Elaine Hanzak's Conference and book launch 'Another Twinkle in the Eye' -Considering a second pregnancy after Postnatal Illness, 23rd Sept, Manchester. 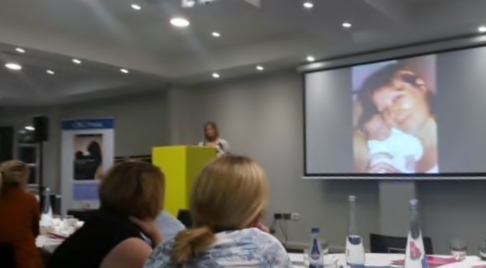 There were around 150 delegates at the event, including Midwives, Health Visitors, Consultants and women who have recovered from severe PND and Postpartum Psychosis. It was a very full day with moving talks from women and fathers sharing their personal experiences. APP Trustee, Niclola Muckelroy shared her story of PP and recovery. Some of the topics covered were Perinatal Psychiatry, birth experience, communication, bonding & attachment and creativity and included sessions by organisations such as Family Action, Smile, PSS?, The Marce Society, EFT. It was an excellent and moving day with plenty of opportunity to network with other organisations and women who've experienced PP, many of which were keen to work more closely with APP and become APP Volunteers and Regional Representatives.